Home » Blog » Cool Customer: Molly MacDonald Founder + CEO The Mobile Locker Co. 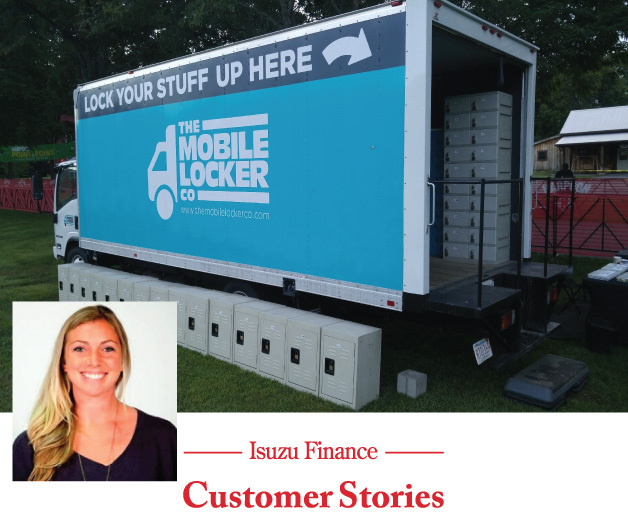 Cool Customer: Molly MacDonald Founder + CEO The Mobile Locker Co.
Molly: We provide secure, convenient storage for events with our trucks which are locker rooms on wheels. Our focus is on road races and OCR/mud runs, and we are now expanding to spectator and stadium events as well. Q: How did you come up with this great idea? Molly: As a runner, I found that, at races, when the gear storage option was secure, it wasn’t convenient, and when it was convenient, it wasn’t secure! I came up with the idea of a locker system that would give runners quick access to their stuff, started talking to other runners and got great feedback on the concept. After a year and half of planning, later I launched my company. Molly: We sync up with event organizers, they promote us to their runners, and then they just tell us where to park! We operate independently so the event can add our amenity without adding to their plate. Runners get a key and can access their locker anytime before and after the event, and we’ll hold the key for them while they race so they don’t have to worry about losing the key. This is especially popular for OCR events like Spartan Races where they’re going through muddy courses! Q: What did you choose the Isuzu NPR-HD for your business? Molly: Our entire business centers around the trucks, so we needed reliable vehicles. Marty’s Isuzu dealership found the right truck, coordinated with Supreme to help us order our box, and recommended an installer. 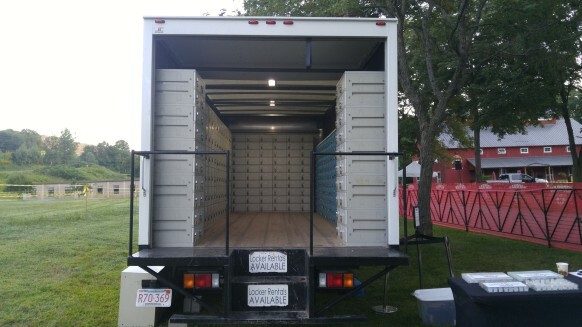 Our truck had to look great inside and out, and Marty’s helped make sure we covered all our bases, like selecting an opaque roof to the truck box to let in natural light and installing interior lights. We had the inside walls painted with chalkboard paint so customers could write messages, which is so fun! Q: Do you drive the truck yourself? Molly: Yes, I’m in the trucks every week! I didn’t have previous experience driving a large truck, but they drive so well! They’re 20′ long, 11’3″ high, but are such comfortable drives and my team loves driving them. A former staff member recently wrote me an email saying she missed driving the truck, which I loved to hear! Q: Why did you finance your truck with us? Molly: One of my business partners found Marty’s after doing some research on dealers in our area, and I am very happy with Isuzu Finance. After I purchased the vehicles, Ken Handleman from Isuzu and Mike Varous from Isuzu Finance even came to my office to discuss how they could continue to be part of things as we grow. It’s nice to know I have the support I need as our business grows.